Come and try our Swim Spas. Offering the ultimate water therapy and aqua exercise experience, Chiswell’s range of swim spas and swim trainers meet all needs. Our models combine the benefits of aerobic exercise with relaxing, warm water massage therapy, all available at the fraction of a cost of installing a swimming pool. Swim spas are easy to maintain, with safety covers attached as standard, and installation takes place in less than a day due to the standalone nature of the units. The Chiswell range of swim spas and exercise pools can be tailored to your exact requirements, and our 40+ years in the industry has allowed us to develop relationships with leading manufacturers to ensure that you receive the best products available. So if you’re in the Hemel Hempstead, Watford, St Albans or wider Northern Home Counties area and are looking for a great way to stay fit or unwind after work, get in touch with Chiswell today to find out about our range of swim spas. 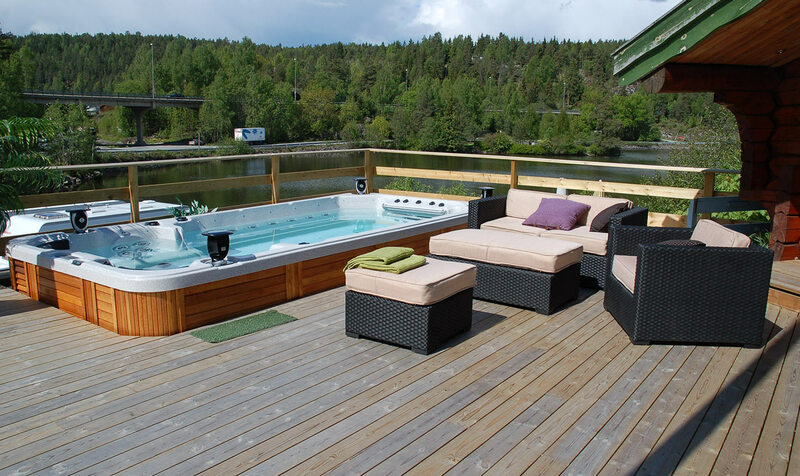 Highest QualityHot tubs supplied & installed Complete Service We will ensure that your hot tub fits perfectly, will be situated in the best position and plumbed in & working correctly.